Information about our chiropractic approach to pregnancy and paediatrics in the Hackney Chiropractic clinic. I always like to emphasise that chiropractic is a preventative medicine, and for that reason we like to have an ongoing relationship with clients to optimise the health of their nervous system and reduce the likelihood of symptoms related to musculoskeletal dysfunction. We can and do help many people with pain relief, but that’s just the tip of the iceberg. Low back and pelvic pain, but also optimising pelvic biomechanics to assist with foetal positioning ready for birth. Always the first step for any patient but especially newborns. We help during pregnancy as much as possible, but birth can still be traumatic. We like to see babies from about 3 weeks old and onwards, this way they have undergone most of the vital checks from doctor and midwife at the hospital, and Mum and baby have been home (usually) for a chance to rest. 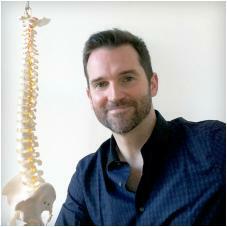 Cranial work is performed by a chiropractor, but sometimes we use a cranial sacral therapist in the clinic. After 9 months curled up in the womb, some simple cranial work can relieve babies from a lot of tension and stress, and also relieve compression of the cranial nerves that exit the base of the skull. Skull strain patterns are common, and positional plagiocephally responds well to chiropractic examination and care. We use a mix of specific cranial work to manage these issues. Other common paediatric presentations such as colic, suckle problems, otitis media, can be treated with chiropractic care. Whilst we do have good anecdotal evidence for treating these conditions, it should be noted there is less clinical trial evidence available for its effectiveness. In addition to chiropractic, we also use a system called DNS (Dynamic Neuromuscular Stabilisation), which is great for assessing and treating neurodevelopmental issues. Day to day, I find it extremely useful for assessing developmental progress in infants from 3 months onwards.